CAPS is a non-profit 501 (c) 3 certified organization that focuses to support the establishment of responsible agencies to provide Pretrial and Diversion Services in the state of Colorado and to take a leadership role in legislative issues. The aim of the organization is to promote the exchange of ideas and issues, professional competence, and responsibility in the area of Pretrial and Diversion Services. The Colorado Association of Pretrial Services is dedicated to improving the quality of life for the community through consistent and professional services in the state of Colorado by communication and training. Providing accurate information to the Judicial System for the purpose of setting appropriate bonds and bond conditions. Assist in the control of the jail population. 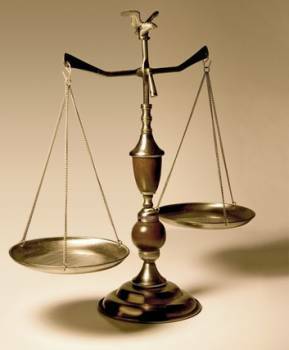 Act as a liaison between the Judicial System and the defendant. Ensure public safety by providing quality supervision. To establish a mechanism for exchange of information between Colorado Pretrial and Diversion Services agencies. To maintain and increase Colorado Pretrial and Diversion Services professionalism through consistency and education. Take leadership in Legislative issues. Looking to start a Pretrial Services Program? Click here for NAPSA documention on how to start a successful statewide Pretrial Services Assocation! We've received responses from many of you regarding interest in participating in our Training and Accreditation subcommittees! Your involvement will be instrumental in the continued development of CAPS and we thank you! Our next step will be contacting you to schedule introductory meetings. For those of you who have not yet expressed interest in subcommittee partcipation and would like to, please contact the respective subcommittee Executive Board Member for more information! Colorado Association of Pretrial Services 2007, Inc. All rights reserved.